Eden Hazard marked his 100th international appearance with a goal as he helped Belgium to a comfortable 2-0 victory over Cyprus in Nicosia on Monday (NZDT) to extend its winning start to Euro 2020 qualifying. 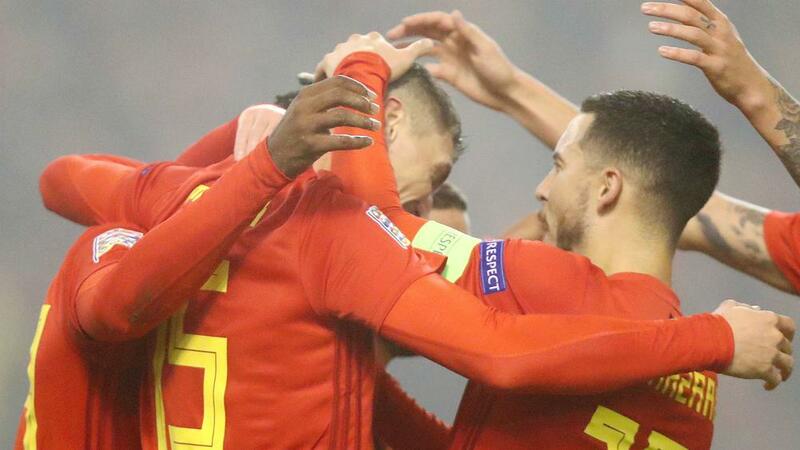 Much of the build-up focused on Chelsea star Hazard due to the significance of becoming only the third Belgian to reach a century of caps and he did not disappoint, leading the way as Belgium added to Friday's (NZDT) 3-1 win over Russia. Hazard gave the visitor an early lead with a typically tidy finish for his 30th in a Belgium shirt and Michy Batshuayi doubled the advantage eight minutes later. The visitor never looked in danger of relinquishing its lead as Roberto Martinez's men secured an early three-point cushion at the top of Group I.
Belgium was kept at bay for just 10 minutes as the ball broke kindly for Hazard just inside the box and he curled a fine effort inside the right-hand post. Cyprus – 5-0 winner over San Marino in its opener – nearly pulled one back two minutes from time, but Kostas Laifis headed on to the roof of the net and that was the final opportunity.